My adventure yesterday began when I departed Striaton City and headed down Route 3 towards Nacrene City. Along the way I discovered a couple new Pokémon, namely Pidove and Blitzle, as well as a neat daycare complex that serves both humans and Pokémon. I left my new Pidove there to be looked after for awhile and decided to play with the kids. Some of them even had Pokémon – it was surprising how fiercely they battled. After saying goodbye to the little ones, I continued down Route 3. 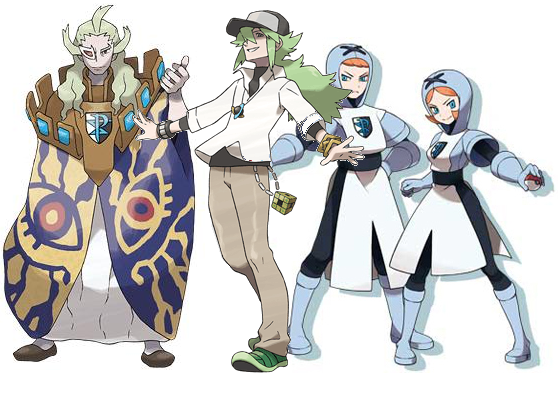 On the way, I learned that Team Plasma had stolen a little girl’s Pokémon – and Bianca and I made haste after them into Wellspring Cave. After trouncing the Plasma Grunts, we retrieved the girl’s friends and returned them to her unharmed. Before backtracking to the Daycare, I took the time to catch a couple of the cave’s resident Pokémon: Woobat and Roggenrola. Both would become mainstays in my Pokémon team. At Nacrene City I learned that the Gym there used Normal-type Pokémon. Remembering that Normal-types are weak against Fighting-type moves, I began investigating the town for any info on potential Fighting-type moves or monsters I could add to my collection. An anonymous tip pointed me to Pinwheel Forest. I found a couple Fighting-types there in the form of Timburr and Throh, the latter of which I raised to do battle in the Nacrene Gym, and was also given a TM containing Rock Smash, which I taught to a couple of my other monsters. I also discovered and caught my first Water Pokémon: Tympole. Before I could enter the Gym, however, I had to battle N once again. He was quite tricky this time, with new friends to assist him, but in the end my new Fighting-type helped pave the way for victory. He left with yet more cryptic comments about liberating Pokémon. 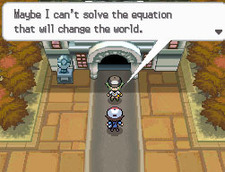 Could he have some connection to Team Plasma? Bearing this in mind, I entered the Gym – or rather I entered the museum inside of which the Gym is located. A library in the back contained a secret chamber where the Gym Leader, Lenora, was hiding. Thanks to my new Fighting-type arsenal, I made short work of her and earned the Basic Badge. But I didn’t have much time to celebrate, for Team Plasma swooped in and stole the Dragon Skull from the museum. I followed them into Pinwheel Forest and tracked down their members in order to retrieve it, only to meet another of Plasma’s leaders, Gorm. I learned that Gorm is one of what they call the “Seven Sages” who head Team Plasma’s order of “knights.” Great. Seven of these guys? A couple of my friends met me in the forest, forcing the Plasma crooks to flee the scene, but I managed to get back the Dragon Skull. A few observations: I’m getting the vibe that there’s tons to explore in Unova, but so far actually exploring has been kind of so-so. Most of the hidden items I’ve run into so far have been Super Potions or Great Balls. Maybe once I have more HM moves at my disposal, particularly Surf and Strength, there’ll be more to find. A couple things I should have mentioned earlier: the Xtransceiver and the C-Gear. The Xtransceiver looks like a fancy version of the PokéGear from Gen II, while the C-Gear is a neat revolution in Pokémon social connections. I haven’t gotten much opportunity to see either in action since it’s hard to find Pokémon players on campus and the Xtransceiver’s gotten so little use so far, but I’m sure I’ll learn more about these devices as the story unfolds. 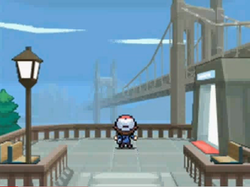 Pokémon Black & White Daily Log: The Adventure Begins!